If cold temperatures, above-normal snowfall, and biting winds aren't your favorite, you're not going to like the forecast from the 2019 Farmers' Almanac. 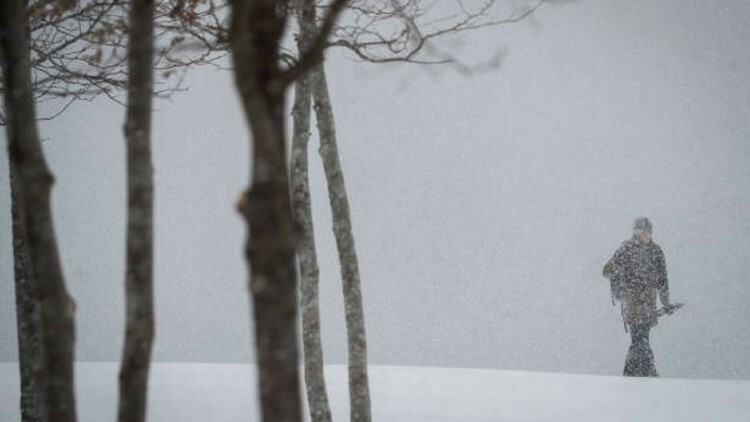 LEWISTON (NEWS CENTER Maine) — If cold temperatures, above-normal snowfall, and biting winds aren't your favorite, you're not going to like the forecast from the 2019 Farmers' Almanac. "Teeth-chattering," "biting," and "stinging" cold are a few of the adjectives the Farmers' Almanac is using to describe the upcoming winter, and not only in northern areas. "Contrary to some stories floating around on the internet, our time-tested, long-range formula is pointing towards a very long, cold, and snow-filled winter," reports Editor and Philom., Peter Geiger, adding, "we stand by our forecast and formula, which accurately predicted most of the winter storms last year as well as this summer's steamy, hot conditions." The 2019 Farmers' Almanac forecasts the coldest weather of this winter season to pour south from Canada and blow into the Northeast, New England, Great Lakes, Ohio Valley, and Southeast during mid-February. Snow holds barred The Farmers' Almanac, which bases its long-range forecast on a mathematical and astronomical formula developed in 1818, forewarns of "significant snowfall for parts of its seven zones." Some of this snow may start early with snow predicted in New England and Mid-Atlantic regions during December 2018. Above-normal snowfall is predicted for the Great Lakes states, Midwest, and central and northern New England. The Pacific Northwest and Mid-Atlantic regions of the country are also forecast to have an abundance of snow and wet/icy conditions this winter. Long Lasting Cold "According to the calendar spring 2019 starts on March 20th, however, according to our outlook, winter conditions may delay spring for several weeks," states Managing Editor and Philom., Sandi Duncan. In particular, the Farmers' Almanac is "red-flagging" March 20-23 for a potent East Coast storm that could deliver "a wide variety of wintry precipitation just as we are making the transition into spring." Spring, Summer, Fall Predictions The 2019 Farmers' Almanac, which features an orange and green cover, breaks the country into 7 zones and provides weather forecasts in 3-day intervals. Each edition includes weather summaries for all four seasons. The 2019 summer forecast calls for "near-normal temperatures for most areas, except for the Southwest states which are predicted to be unusually hot." For more information on how the Farmers' Almanac makes its long-range forecasts, where and when the cold weather start.